Our office is located at 1075 S. Idaho Road, Suite 210, directly next to Banner Children’s – Banner Health Clinic. At Continuum Wellness, we aim to help all our patients receive the pain relief they need throughout Apache Junction, AZ. To schedule your appointment or send over patient information, you can call us at (480) 983-0877 or send us a fax at (480) 983-3172. At Continuum Wellness, you will be met with a team of high-qualified physical therapists and quality, modern facilities designed for optimal recovery assistance. Our sophisticated diagnostic tools, such as movement investigation and gait analysis, help us determine what would be the best course of treatment for your needs. These methods help us arrive at the best treatments for relieving pain, promoting healing, and preventing future problems. 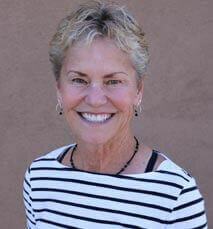 Our practice is happy to employ some of the best methods and modalities for treating pain in Apache Junction, AZ. Some of our specialties include manual therapy, IASTM technique, dry needling, cupping, McKenzie method, Mulligan technique, athletic training, occupational rehabilitation, sports therapy, joint mobilization, therapeutic exercise, total motion release, ultrasound, electrical stimulation, pre-surgical rehabilitation, post-surgical rehabilitation, ergonomics, and vestibular therapy. Our physical therapists are skilled in providing treatment for any pain, injury, or ailment you may be experiencing. Some common conditions include back pain, sciatica, shoulder pain, elbow/wrist/hand pain, motor vehicle injuries, pelvic pain, arthritis, neurological disorders, neck pain, headaches, hip and knee pain, foot and ankle pain, fibromyalgia, balance and gait disorders, sports injuries, and osteoporosis. 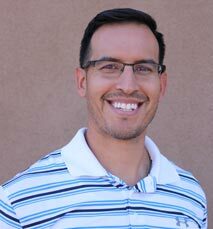 Our dedicated team at Continuum Wellness consists of Nicholas Wells, PT, DPT, Clinic Director; Steven Garcia, PT, DPT; Linda Donkelaar, PTA, CSCS; and Robin Longacre, PTA. At our practice, we are passionate about bringing our patients to their highest level of performance, with the least amount of discomfort. 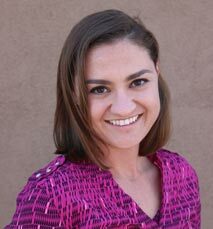 Our physical therapists are compassionate, caring, and happy to work with you on whatever you may be struggling with. They are leading experts in their field, working hard to get to the root of your problems, and not only providing quality treatment for what you are experiencing in the present but also using their best abilities to prevent any further issues in the future. At Continuum Wellness, each treatment plan is specifically designed for the unique needs of each patient. Our office has one mission: to help our patients reach their highest quality of life, with the least possible amount of discomfort. We know this is possible for any patient that seeks out our services. We have seen the progress that our patients have made, and we are confident in the success that physical therapy brings. It is the best solution for pain relief, eliminating the need for harmful drugs or surgery in many cases. 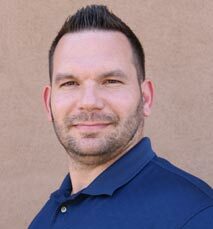 If you are looking for physical therapy in Apache Junction, AZ, call our office to schedule a consultation today. We will be more than happy to talk with you and discuss how we can help you achieve a pain-free life.